Michigan Gov. Rick Snyder has apologized for his administration’s role in the lead-tainted water crisis in Flint. Furthermore, Snyder says that he will drink Flint water at home and at work for at least the next month to prove to residents that it is safe to drink the water with the use of a faucet filter. Good leaders will take responsibility for their mistakes. They don’t pass the buck and try to blame someone else. They confess their own errors and take ownership of their short-comings. It is also good for leaders to actually lead the way. It is one thing to say that the water is safe for consumption. It is another thing to drink the water yourself. In a time when there are so few credible leaders, people are desperate to see someone out in front, actually leading the way. Snyder’s example is refreshing, and is a good inspiration for anyone who is attempting to influence others. “We have different gifts…if it is to lead, do it diligently…”–Romans 12:6-8. This entry was posted in Christian Living, Current Events, Leadership and tagged Flint water crisis, Gov. 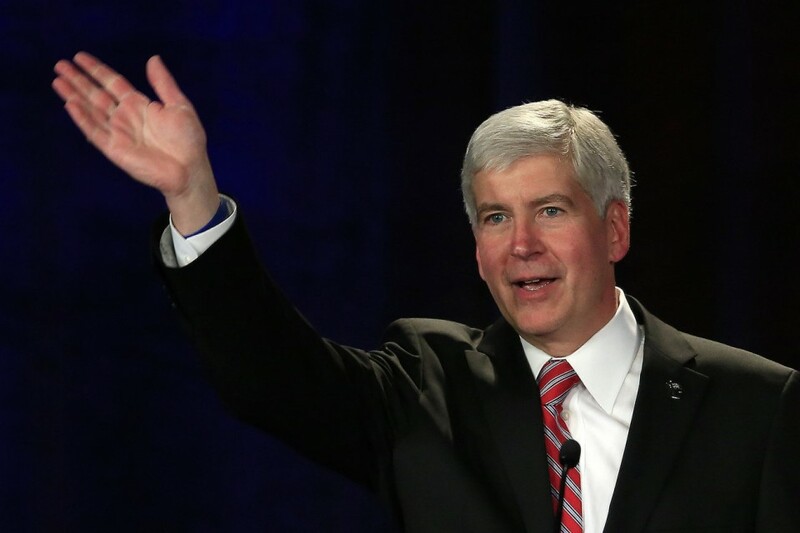 Rick Snyder, illustration, lead-tainted water, Michigan governor, Romans 12, spiritual gifts. Bookmark the permalink.